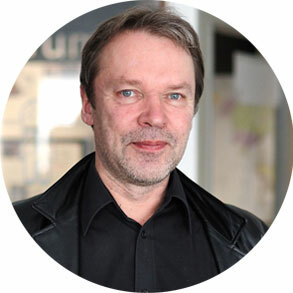 Kalevi Ekman is Professor of integrated product development and machine design at AALTO University. He is also the Director and Founder of AALTO University Design Factory, an experimental co-creation platform for education, research and application of product design. His research and education activities relate to integrated product development process, conceptual design phase, prototyping, and especially interdisciplinary co-creation between engineers, designers and business professionals. Prof. Ekman is also the driving force behind the Design Factory Global Network that included 24 different Design Factories in five different continents. In 2016, World Cultural Council’s Jose Vasconcelos World Award of Education 2016 was awarded to Professor Kalevi Ekman on account of his international and productive humanistic approach to education as well as his visionary and inspiring ideas on the Design Factory concept as outstanding educational methodology.